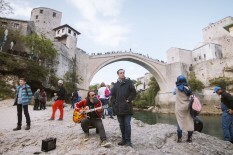 When the sun sets and the day tourists leave, Mostar reveals its true beauty. 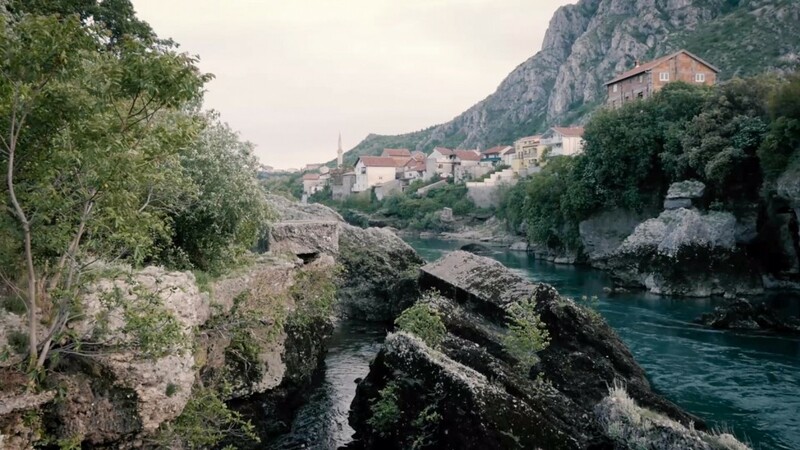 A walk along the green banks of turqoise-blueish Neretva river, past the stone buildings of the Old Town and across the famous Old Bridge is one of Bosnia’s highlights. With its mediterranean climate the Hercegovinan capital is a pleasant place to visit year-round, although summer days can be very hot. What short-term visitors usually don’t see are the countless unresolved political issues between the Croat and the Bosniak population. 22 years after the war has ended the city is still divided and kids go to different schools depending on their religion. The reconstructed Old Bridge is a strong symbol of connection and unity, but in reality there is still a lot to be done.